Kerri has a new house. She talks about her new living situation. Todd: Keri, I heard you have a new house. Todd: Oh, so what's your new house like? Keri: It's small, it's old. It's mostly wooden in the inside. It has two bedrooms and a balcony off of those rooms. Downstairs, there's like a living room area and a tatami mat room, kitchen, bathroom. Keri: No, there's two tatami mat rooms. 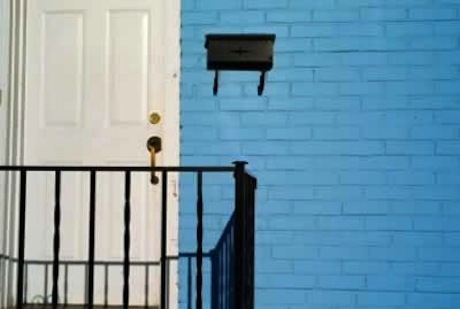 There's one upstairs and there's one downstairs and I don't live in either. One we use as kind of a spare room and the other one is my roommate's bedroom. Todd: What's it like having a roommate? Keri: It's good. I like living alone too but sometimes it's nice to come home and have someone there. My roommate gets home before I do and she likes to cook so often she's cooked dinner for me. Keri: Now that you mention it, I do a lot of the cleaning but not all of it. Todd: Oh, OK. Well, what kind of things does she make you? Keri: Last night she made curry. I think it was an Indian curry, tomato-base. Todd: Cool. Thanks a lot, Keri. We have a tatami mat room upstairs. The restaurant has tatami mats in the private rooms. Do you have tatami mats in your house? We use one of the rooms as a spare room. We have a spare room for you to stay in. My roommate is the cleanest person ever. What's it like to have a roommate? What's it like to be married? What's it like to have a real job? She made tomato-based Indian curry. Do you usually sit on when you eat? My anthropology class is really . I use the as my office now.